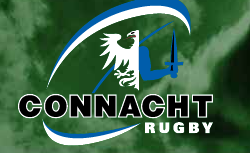 Third placed Connacht take on bottom of the table Zebre in the Sportgrounds on Saturday in a do or die clash in the Heineken Cup. They will hope to put the pain of the recent defeat to Leinster in the Rabo behind them in possibly their last home game of the competition. Serious doubt remains about the future of the Heineken Cup betond next May’s final. Pool leaders Toulouse are level on points with Saracens, however their easier run-in means that Saracens are the most likely team Connacht will hope to overhaul. A win and bonus point for Connacht and defeat for Saracens in France will see them traveling to Saracens with genuine ambitions of making it to the knockout phase. Connacht have the chance to pile the pressure Saracens who take on Toulouse on Sunday.